Viessmann has extended and increased its sponsorship of Huddersfield Town Football Club for the 2017/18 season. As official heating partner to the club, Viessmann will continue as team sheet sponsor and become exclusive title sponsor of ‘Club Town’, a new area of 64 executive heated seats situated behind both home and away dugouts. Viessmann branding will appear on the heated seats, in the matchday programme, on pitch-side display boards, on the team sheets themselves and via social media. “Building on a successful partnership in the 2016/17 season – which saw us stage our first ‘Vriendly’ football match between German and English heating installers in April – Viessmann is delighted to be part of Huddersfield Town’s rise to the Premier League, after a gap of 45 years,” says Graham Russell, managing director at Viessmann. 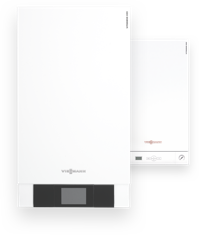 Huddersfield Town, commercial director, Sean Jarvis added “Everyone at the Club is delighted to welcome Viessmann as a global partner for the 2017/18 Premier League season. “The Club’s commercial team puts great emphasis on brokering bespoke relationships with each of its partners to ensure that they get the maximum return for their investment and I believe that Viessmann’s commitment is proof that a relationship with Huddersfield Town can be of great benefit.